Whatever it's called I saw it at Wal-Mart. A wonderful slogan, to be sure. Bravo. I'm sure it's been covered in detail elsewhere but i wanted to give a quick thumbs up for #70830. A really ingenious build-love the use of the four white fender parts from Penguin's Arctic Roller-that's surprisingly weighty and bigger than i expected. Most likely cups or something uninteresting. The last stuff they had for Lego things were that. Anyone know why Lucy has two yellow hands in 70824 but one yellow and one black hand in 30527? Maybe it's an archery glove or something (since she has a bow and quiver)? 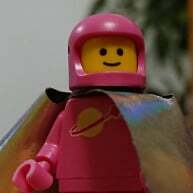 The former set uses her classic Lego Movie design, while the latter features her new design. So yeah, presumably it's a glove. 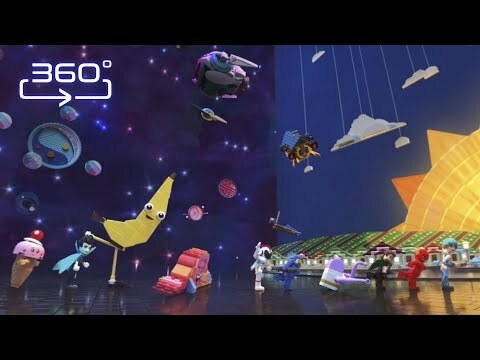 and with that....why in the world did they ditch the hood piece in the sets? In the clips from the movie she has the hood, but in any sets where she is in her classic outfit it is painted on. I was thinking about that too, tbh. I figured that they just assume most of us that might care already have scads of the hood part in our collections, and that adding the part to the production schedule for these sets was a corner they could safely cut? When was the last time they used that hood? Maybe they decided they couldn't put it back into print just for this wave? Sewer babies are coming! There is a leaked battlepack (think Ninjago or Nexo Knight packs style) showing Emmet, two sewer babies and some bricks. Edit, there is also a female apocalypse resident and the babies have different headprints. The torso with the scarf and quiver is a different print. It's a similar design, but shows age wear on the edges of the designs. It lacks the zipper up the front and the hood on the back. Also, the cutouts to show her silhouette are a different colour. 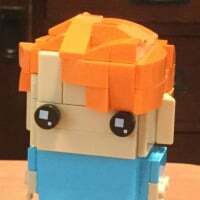 According to The Brick Fan, there will be no “chase” minifigures for this series. Each box will continue to have sixty blind bags, so there will be three complete sets in each box. Another site suggests that each column in a box will be a complete set. So you can just grab a whole column and off you go. Hope it is true! 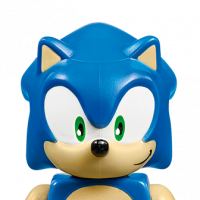 That seems very unlikely for blind bags...especially after LEGO were supposedly telling staff in brand stores to shuffle the figures when people started posting the chase figure positions online. According to someone on Instagram thats exactly what they found when they bought a full box. Three full sets and all in a line front to back. ^ Oh I hope this is true! I'm always first at my local Argos for figs and this would mean I won't have to stand there for an hour feeling the packets. Is anybody else up this early in NA trying to order something for the Trading Cards and seeing at checkout that there seems to be a problem with the free items? If you spend 40$ you're supposed to get three card packs according to the calendar, but I've got 3 albums in my cart and only 1 card pack. Why would anybody want three albums? I think LEGO programmed their system wrong for what should be duplicated for VIPs. ^ Same result for me. I’m waiting to place the order until the issue is resolved. I don’t trust that the warehouse would get it right. According to the representative I spoke to in chat this morning it's a glitch with the description, the set number is for the card packs and not the album, but if I wind up with three albums and only one pack I'll contact them again and point them to the chat I had explaining that and how disappointed I am. Just found some early boxes of TLM2 CMFs at a Tesco near me. Didn't have time to have a long rummage so can't comment on distribution but did find myself a giraffe man to start the ball rolling. 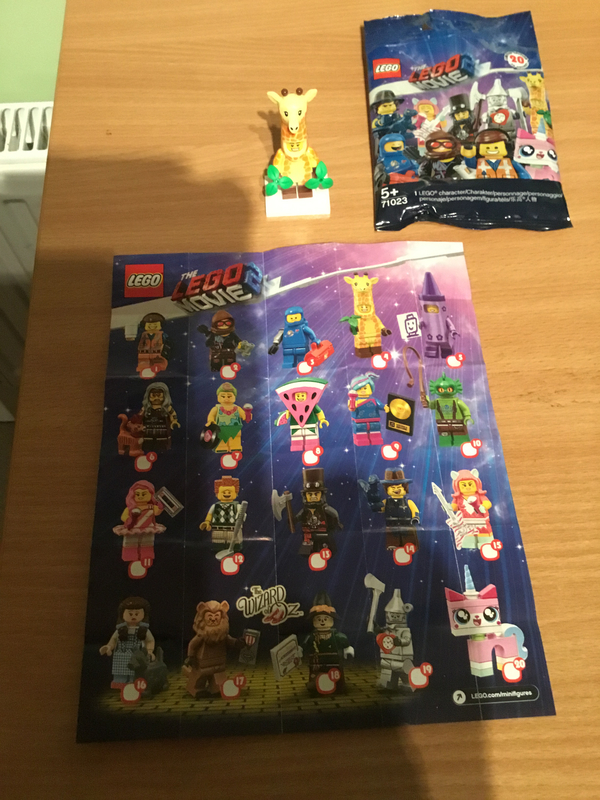 Observations - not double bagged (not even Unikitty which I think I ID'd by the 3x1 plate and neck stud), loads of free space so normal size bags would have sufficed, spare plant piece included, baseplates are white but no printing, leaflet is folded up smaller and taped - opened it looks about 1.5 normal leaflet size, don't have a comparison with me though. Someone just needs to post the positions of the wizard of Oz figures. With any luck they will be in the same spot seuentially in each row :) I need a few sets of that one. I'm on the fence about buying a whole set. This would be the first regular release line of cmf where i didn't buy a whole set if that happens. Just curious what people are thinking of the album and trading cards. I'm debating making an in store purchase this week, but not sure I want to get hooked on collecting all the cards. It would be in my nature to do so...is the album pretty cool? How many cards come in a pack? I read somewhere that there are 36 to collect. Somewhat attainable I'm sure since I could potentially see trading packs offered up on the Marketplace forum for trading. Any insight is appreciated! Oh, and does anyone know if this promotion will overlap any in February? Free Exclusive THE LEGO® MOVIE 2™ Collector Album (5005777) and Trading Card Packs (5005796) offer is valid for VIP purchases at shop.LEGO.com from 16/01/2019 to 24/02/2019, while stocks last. Qualifying purchase must be equal to or greater than £40 (for 3 card packs) in LEGO merchandise only. Bricks & Pieces orders are not valid for this promotion. Thsi is from the UK site - either a dodgy cut and past job or they know something I don't about our currency. It seems over £40, you get three packs. Over £80, still three. Although they also say one set per household, so I don't know they expect people to collect the whole set if you only get three card packs (of 4) maximum per household. 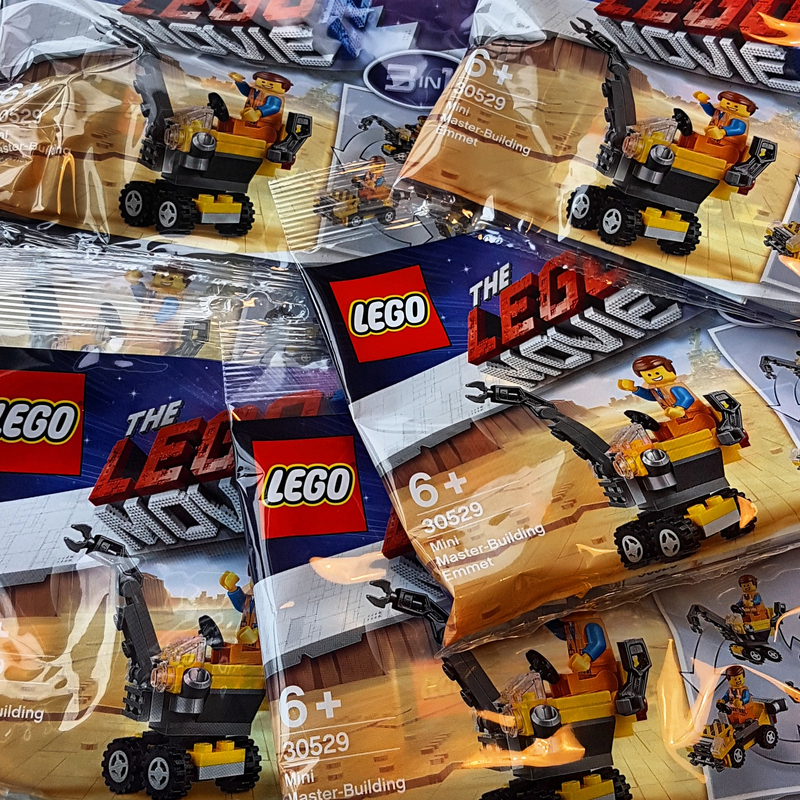 Free Exclusive THE LEGO® MOVIE 2TM Trading Card Packs offer (5005796) is valid for orders at shop.LEGO.com from 16/01/2019 to 24/02/2019, or while stocks last. Qualifying purchase must be equal to or greater than 40€ (for 3 card packs) in LEGO merchandise only. Bricks & Pieces orders are not valid for this promotion. One set per household. Cannot be applied to previous purchases or combined with any other discount, offer or free gift. If the qualifying LEGO purchase(s) is returned to us for a refund, the gift must also be returned to us together with the qualifying LEGO purchase(s). It cannot be purchased, exchanged or substituted for any other item or cash value. Offer is not valid at LEGOLAND® Parks, LEGOLAND Discovery Centres or LEGO Certified Stores. The LEGO Group reserves the right to cancel or modify this promotion at any time without prior notice. That's odd, is North America getting different packs or did I just read 5005795 erroneously this morning because I was up way too early to get my LEGO fix? 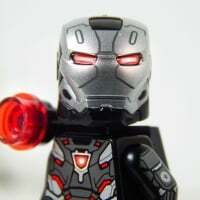 Wait until gnajbricks does a collected them all youtube video. Even more nightmares, of a different kind. Trading cards is an easy pass for me. I collect far too many 'things' to pile peripheral clutter on top of the mix. I recently purged my collections of this sort of rubbish, and I'm much happier for it. That said, I'll probably end up with a few of these incidentally when grabbing the store exclusive TLM2 sets (I'm currently trying to shore up my willpower to hold off on grabbing Apocalypseburg until a 2x points event, hahaha). I was honestly hoping for a more exciting promo for February to tie into the film release. Here’s the CMF leaflet for anyone interested. Apologies if it’s too large data wise as I’m not really sure how to do the editing stuff. Also look like they’ve reverted to old style unikitty neck joint. Instructions on back show normal 3x1 plate and 1x1 round. But seriously, thanks for posting it, I like how the Wizard of Oz characters are in a yellow brick road spotlight. Cool. Plus it can't be too big, I can see it! Yay! Soooo many characters yet to come, it would seem! What do you mean by this? I don't get it. When it comes to the crap collectables that LEGO gives out, GNAJ likes to collect them all. Noooo.. they're definitely not the same person! 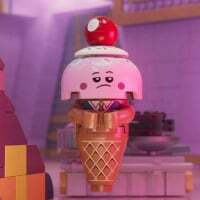 @CCC full disclosure and apology - initially I thought you were having a not so suble dig at Jangbricks which I found both puzzling and irritating. I like Jangbricks videos. Sure there's a few things in them that I'm not fond of e.g. 'I has a box', but on the whole he's my favourite guy to watch doing video LEGO reviews. I'm so glad you showed me that link. Within about five seconds I was crying with laughter. I can't wait to get home tonight to watch the rest. Thank you. You have brightened my day. Apologies for thinking bad of you. Be careful, "the rest" is where it goes a bit more weird. This is JANG's channel, set up as a parody of "TOP 10" clickbait channels. I like both, but GNAJ in only small doses. You'll see why in that video. Yeah he parodies the awful YouTubers so well sometimes it becomes unbearable. I think my favorite was his top ten top 10 lists or something like that. 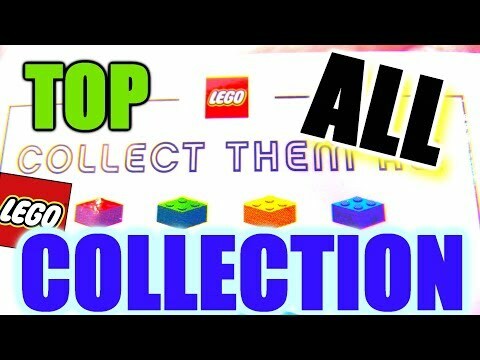 Didn't Gnajbricks collect them all?